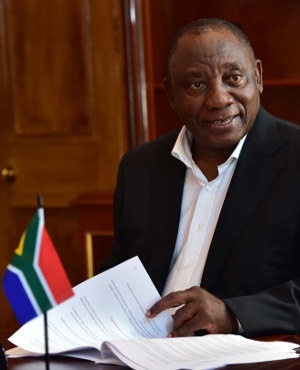 President Cyril Ramaphosa will sign the Competition Amendment Bill into law on Wednesday afternoon at the Tuynhuys Chambers in Parliament. The bill seeks to strengthen regulations against anti-competitive behaviour in industrial markets. Minister of Economic Development Ebrahim Patel campaigned fiercely for the bill’s codification since he introduced it in 2018. He said the bill would go a long way in closing loopholes which businesses exploited to enrich themselves such as only procuring production materials from their own subsidiaries or selling materials to subsidiaries at a lower price than to other companies. In a statement issued on Tuesday, the Presidency added that the amended legislation would combat "concentration and economic exclusion as core challenges" to dynamic growth. It would also improve outcomes for small and black-owned businesses, and strengthen institutions involved in managing competition policy and law, the Presidency said. The bill was approved by the National Assembly in October and by the National Council of Provinces in December, after which it was sent to Ramaphosa’s office to be signed into law. Patel is expected to be present with Ramaphosa when he signs the bill into law.